LUKE 1977 Dexter' Retro Hooded windbreaker jacket. 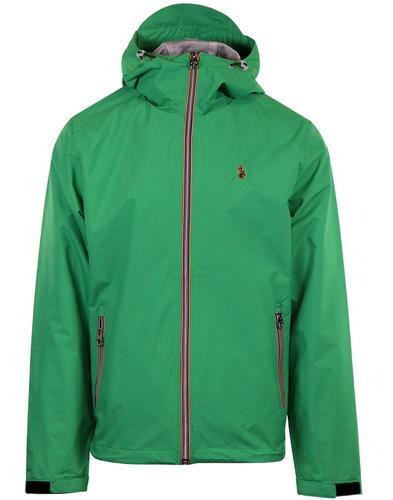 A vibrant take on the Classic Windbreaker anorak. 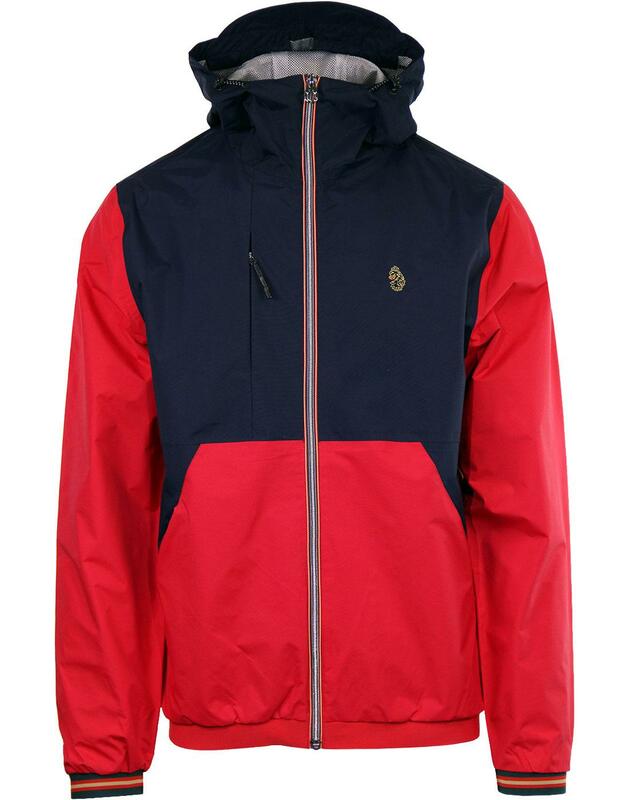 Contrast Panels in Contrast navy and red, a colourway that has become synonymous with Luke 1977. 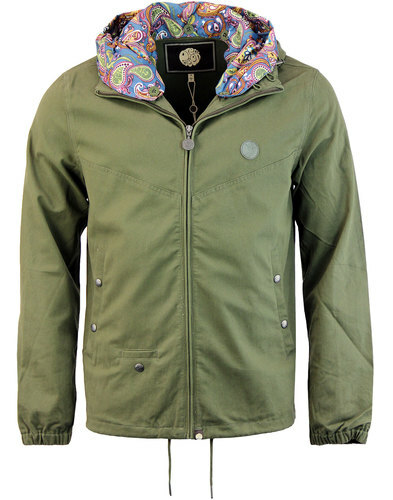 This cool jacket oozes terrace-wear style. 80s inspired Sporting touches such as elasticated hem and cuffs with contrast sports tape stripe add another Retro dimension. 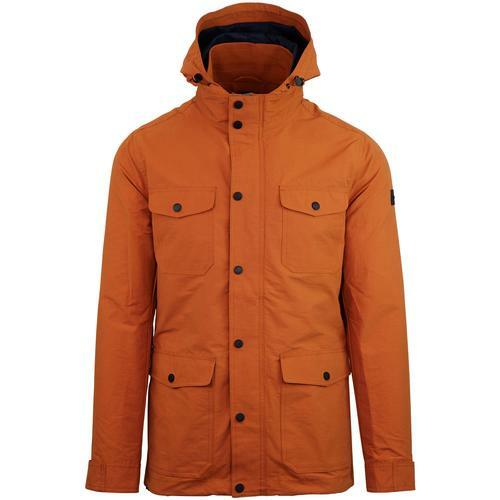 Large peaked hood and zip up neck give a 60s Mod parka vibe. 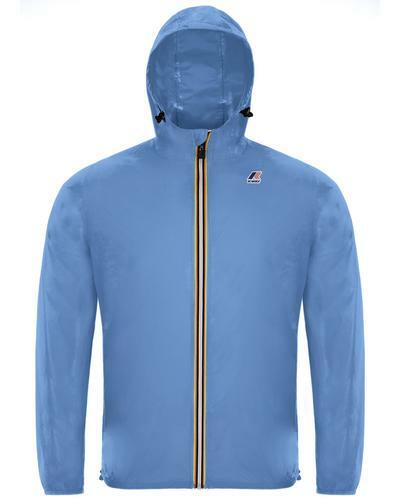 Metallic hi-shine zip and zipper as well as the iconic Contrast Luke 1977 Lion Logo stand out boldly to finish this awesome outerwear Masterpiece. - Iconic Luke 1977 lion motif to chest. 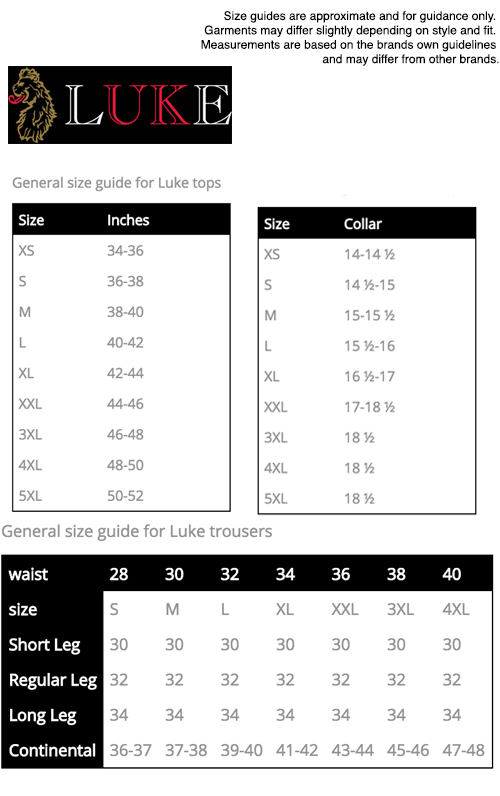 - Elasticated Luke Sport Tape Sleeves.